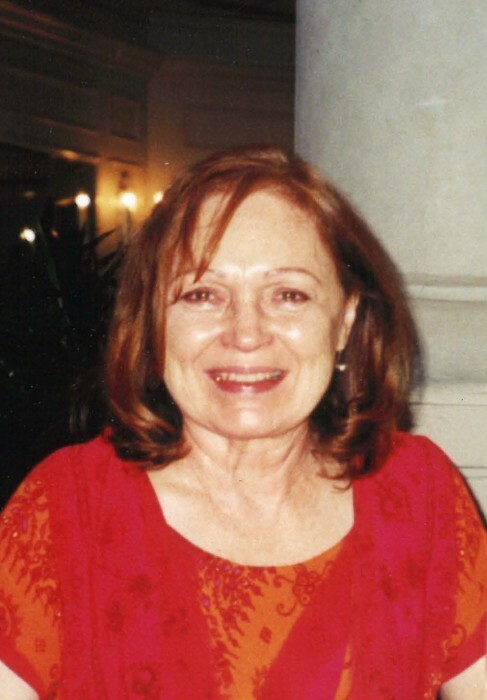 Jeanne Louise (Carr) Higgins, age 74, passed away unexpectedly in Wichita KS on January 22, 2019. She was born September 10, 1944, in Florence, KS to Max and Wanda (Herzet) Carr. She graduated Marion High School in 1962 and then moved to Denver, Colorado where she met her husband of 50 years Robert Higgins. They were married October 18, 1964, at Eastmoor United Methodist Church. She devoted her life to her husband and raising 4 children. They lived in several different states throughout their marriage including Colorado, Texas, California, Arkansas, Virginia, Arizona and Kansas. Jeanne was an active member in the Christian church, the Director of Public Relations with Women’s Aglow Ministries, and a member of the Presidential Prayer Team. She also loved art and became a Prescott Art Docent. In 2004, Jeanne survived a brain injury. Her loving husband devoted the last years of his life caring for “his beautiful bride.” After his passing in 2014, Jeanne became a resident of Brookdale Assisted Living and then moved to Chisholm Place, where she resided at the time of her passing. She loved Jesus and was known for being loving, peaceful, kind, social and affectionate. She brought a smile,continuous hugs and kisses to all she encountered. She will be missed dearly. Jeanne was preceded in death by her husband Robert Higgins and her father Max Carr. She is survived by her children William Higgins (Cindy), Stefanie Bodjanac (Gary Nusbaum), Pamela Higgins, and Matthew Higgins (Jenny); grandchildren Garrett Higgins, Connor Higgins, Tyler Bodjanac (Emily), Caleb Bodjanac (Stephanie), Josiah Bodjanac, Travis Bodjanac, Alexis Higgins, Avery Higgins, Anna Higgins; her mother Wanda Carr (Herzet); her siblings Bill Carr (Rosalie), Tom Carr (Marsha), Susan Wheeler (Frank), Max Carr (Donna), Richard Carr (Kathy), David Carr (Nina), Patrick Carr (Ann), Michael Carr (Dawn), Nancy Day (David); and numerous nieces and nephews. Visitation will be Friday February 1, 2019 from 6 – 8:00 p.m. at Zeiner Funeral Home in Marion, Kansas. The funeral service will take place at 10:30am, Saturday, February 2, 2019, at Eastmoor United Methodist Church in Marion, Kansas. Interment will follow the service at Marion Cemetery. Memorials may be made to GBS/CIDP Foundation international and the Brain Trauma Foundation and sent in c/o Zeiner Funeral Home at 205 Elm Street, Marion, Kansas, 66861.